Looking for a show-stopping way to take your event to the next level? Let us bring fun and deliciousness right to you in our refurbished 1970’s fully refrigerated ice cream truck. 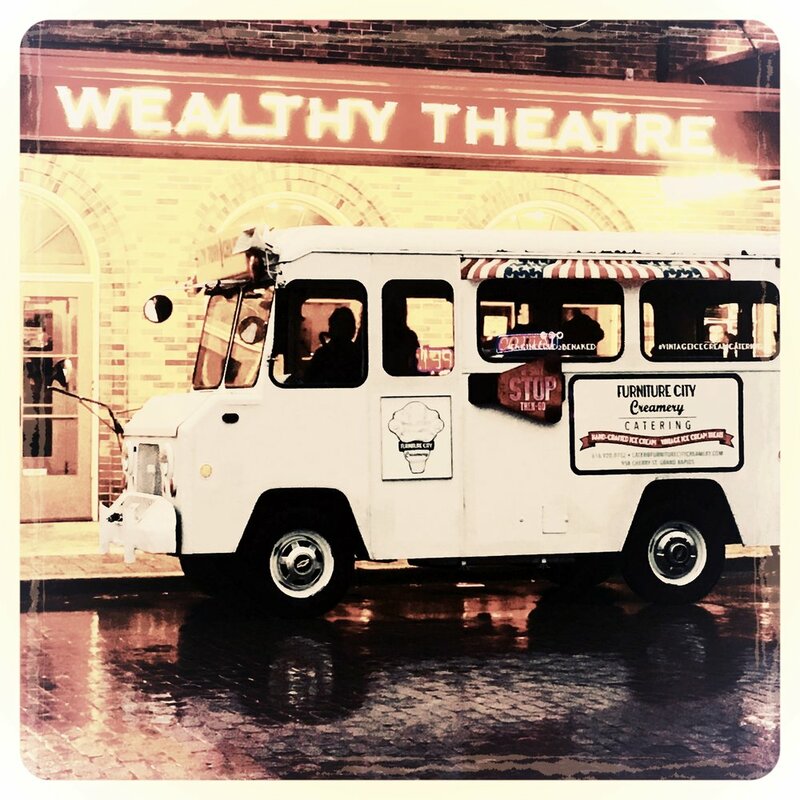 We look forward to wheeling up to your event chock full of nostalgia, style, and most importantly, our one-of-a-kind, gourmet and from-scratch ice creams. Furniture City Creamery is proud to offer a range of full-service sundae bar options. All packages include on-site service from one of our unique upcycled sundae stations. We dish out hand-scooped ice cream to your guests, and they customize sundae of their dreams from a delicious variety of sauces, toppings, and sprinkles.